This is a base price 9" Cheesecake baked on a graham cracker crust. 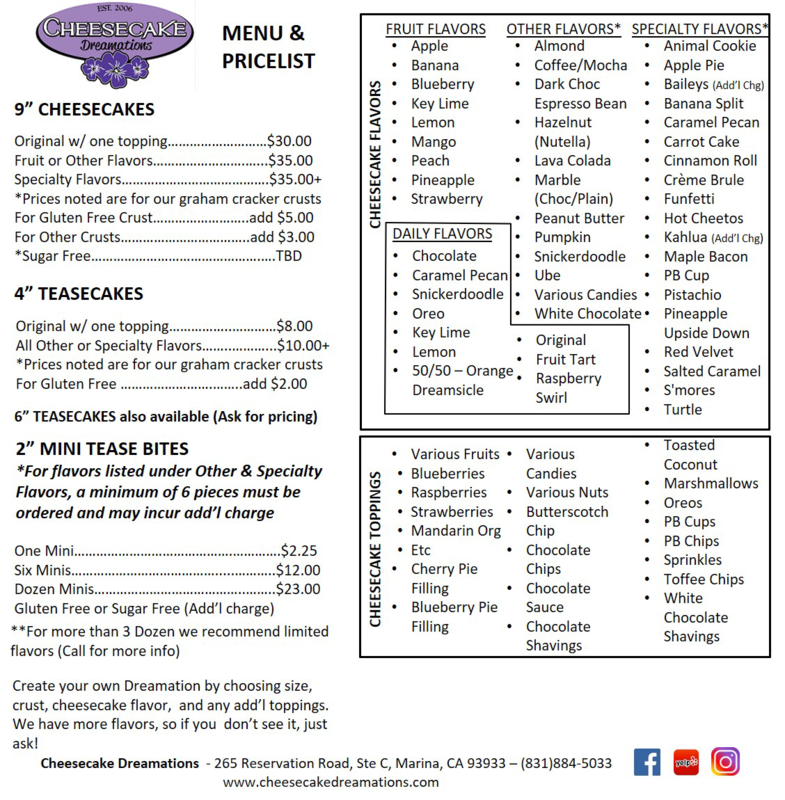 This is a base price 4" Cheesecake baked on a graham cracker crust. 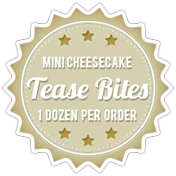 Base price for One Dozen 2" Cheesecakes w/graham cracker crust. We bake specialty items daily. Come in to see what is available, or for quick updates join our facebook page.